In the Metro-Detroit area, if you want to stop and smell the roses or take a hike through the woods ala Thoreau, there are several parks, nature areas, and gardens from which to choose. Listed below are the public gardens in the Metro-Detroit area. A great place to take the family and learn something while you're at it, the University of Michigan's Matthaei Botanical Garden has several display gardens showcasing herbs, perennials, an urban pocket garden and even a garden/playground just for kids. It also has several hiking trails, as well as a conservatory full of various plant collections from around the world. Otherwise known as "The Arb," Nichols Arboretum is created around woodsy plants on several elevations of glacier-carved land. In fact, the Huron River runs through the property and School Girl's Glen provides a steep trail through a glacial moraine. The original landscape architect - back in 1907 -- was O.C. Simonds. These days, The Arb is made up of several naturalistic landscapes with trees/shrubs that are native to Michigan. There are also areas that contain exotic varieties. In addition to the wooded nature areas, there are several specialty gardens, displays, and trails, as well as the Peony Garden and the James D.
Reader Jr. Urban Environmental Education Center. Belle Isle contains thirteen acres of land devoted to gardens. In addition to perennial gardens, a lily pond garden, and greenhouses, there is a conservatory that dates back to 1904. The five-section building sits on one acre and was designed by Albert Kahn, who was in turn inspired by Thomas Jefferson's Monticello. When Anna Scripps Whitcomb donated her 600+ orchid collection in 1955, the Conservatory was named after her. These days, the building's 85-foot-high dome contains palm and tropical trees. Also contained within the structure are a Tropical House, Cactus House and Fernery, and a Show House with six displays of blooming plants. As might be expected, orchids are also on display throughout the building. The Cranbrook Estate was founded by Ellen and George Booth, an iron-working baron from Toronto, on the land of a rundown farm in Bloomfield Hills. It was originally supposed to be the couple's country residence, but they eventually moved permanently to the estate in 1908. The 40 acres of gardens were designed by George Booth, who was also a spokesman of the American Arts & Crafts Movement, over the years of his residency. In addition to grading hillsides and creating lakes, he included lawns, specimen trees, a sunken garden, an herbaceous garden and a bog garden on the grounds. He also liberally used sculptures, fountains and architectural fragments in his designs. These days, the gardens are maintained by volunteers. A self-guided tour of the grounds/gardens is available from May through October for an admission fee of $6. Fair Lane: The five acres of grounds that make up The Henry Ford Estate contain gardens designed by Jens Jensen. The grounds provide a great place for a leisurely, self-guided walking tour. Admission is $2 and is available Tuesday through Saturday, May through Labor Day. Guided tours for groups can also be arranged. The gardens/landscapes of the Ford estate were primarily designed in the 1920s and 30s by Jens Jensen, who used native plants to create natural landscape designs. In addition to a wildflower meadow, a northern Michigan wood with waterfall and lagoon, and a flower lane filled with perennials and flowering trees, Jensen created "Bird Island," a peninsula made out of a sandbar in Lake St. Clair. Populated with herbaceous shrubs and wildflowers, Jensen designed the area to attract songbirds. 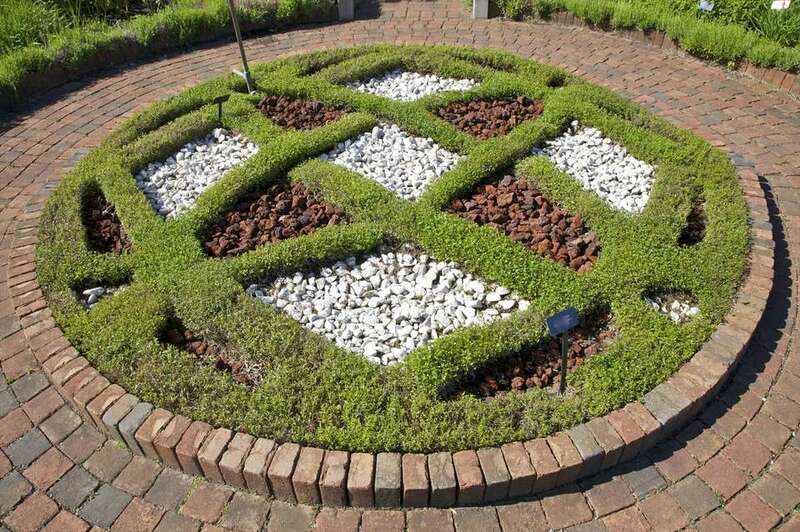 There is also a rose garden, as well as a more traditional "New Garden" with straight lines and manicured hedges. The 14 gardens surrounding Meadow Brook Hall were primarily designed by Arthur Davison in 1928. His landscapes are artistic and combine architecture, art, and nature. In addition to natural woodlands and English-walled gardens, he designed rose, herb, and rock gardens. Admission is free, and the grounds/gardens are open year-round.